A Commercial Mortgage Backed Securities (CMBS) loan or Conduit Loan, is a type of commercial real estate loan. It requires a first position mortgage on a commercial property. They are available for several types of income-generating commercial real estate properties in Phoenix, Arizona, such as warehouses, multifamily properties, retail properties, office buildings, hotels, industrial complexes, etc. Banks, conduit lenders, insurance and pension companies offer these loans. These loans are popular with the borrowers seeking a higher leverage at lower fixed rates than the commercial loans by the banks. Besides, they carry a non-recourse clause with no personal guarantees but may carry exemptions for standard carve-outs such as bad boy behaviors. The least amount of a CMBS loan is $2 million. A balloon payment is made at the end of the term of the loan. The term may be 5 – 10 years with an amortization period of 25-30 year. The loans balloon at the end of the term if they do not synchronize with the amortization schedule. This means that the balloon payment is the balance payment which can be refinanced. The traditional version – We originate the loan. The borrowers negotiate and enter single mortgage loan of varying sizes, property types and locations. These are then pooled together and assigned or sold to a trust that holds their “income generating” Commercial Mortgage Loan Portfolio. This is how a CMBS is born. The trust issues a series of tranches or bonds based on the risk involved. These vary in yield, duration and payment priority, like hotel loans. 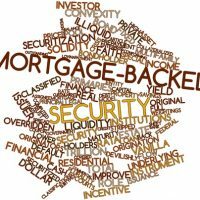 The typical structure for securitization of CMBS loans is the Real Estate Mortgage Investment Conduit (REMIC). This conduit allows the trust to pass through as a non-taxable entity. Next, agencies such as the S&P or Moody assign ratings. The credit ratings are investment grade bonds (AAA/AA/A/BBB), non-investment grade bonds (BB/B) and unrated bonds. This process is called Securitization of the CMBS loan. The delegated program – These are loans delegated to the Fannie Mae (Federal National Mortgage Association (FNMA)) or the Freddie Mac [Federal Home Loan Mortgage Corporation (FHLMC)]. These institutions draw and dictate the terms before the borrower signs the application. Request a loan by CONTACTING US HERE. State the property type. Draw up the terms of the agreement with a loan officer. There are standard, negotiable and non-negotiable terms. The period of the loan, loan amount and inclusion of loan assumption may be negotiable. While the balloon payment, prepayment penalties, etc., are non-negotiable. A collateral for the loan in the form of bonds or the property you are building. This protects you and the us in case of non-repayment of the loan. The prepayment penalties apply when the loan closes far in advance of the maturity date of the bond, or falls below the price at which they stood at the time of placing as collateral. There are two types – defeasance and yield maintenance. Defeasance applies when substituting one source of collateral with another. For example, the bonds for the property or vice versa. Yield maintenance applies when the loan closes in advance resulting in the cancellation of the mortgage. In conclusion, it is imperative to go over the agreement – step by step with us as the loan cannot be altered after signing the bond.